A few weeks back one of friends, who is also trainer, asked me to research a couple of “superfoods.” His list included cacao, gogi berries and aloe vera juice. My intent was to write an article with a little about each of these as well as a few other “superfoods” like spirulina, cinnamon and chia seeds and do a complete “superfood” roundup story. As I started to research the benefits of cacao, I found so many benefits that I thought it deserved it’s own article. So this blog post will be entirely focused on raw cacao health benefits as well as the benefits of other cacao related products like chocolate. Before I get into the health benefits, let me give you a little background on what cacao actually is. First off, cacao is be used to make chocolate and other chocolate related products, but cacao is NOT chocolate. Cacao comes from the Theobroma Cacao tree. This plant is native to Central and South America and the seed from the plant is known as a cacao bean or cocoa bean. The terms cocoa and cacao are often used interchangeably but they are supposed to mean different things. Cacao usually refers to products that are raw and less processed and cocoa products are heated when processed. The two main products that are made from raw cacao beans are cacao nibs and cacao powder. Cacao Nibs are beans that are chopped up into little pieces. Cacao Powder is made by removing the fatty cacao butter from the beans with as little heat possible. Since cacao nibs and cacao powder are minimally processed and have the fat removed, they will provide you with the most antioxidants per gram. Cocoa Powder is pretty much the same thing as cacao powder but the temperatures are higher during the processing. The high temperature degrades a lot of the antioxidants in raw cacao. Even with the degradation, cocoa powder is still one of the highest sources of antioxidants. 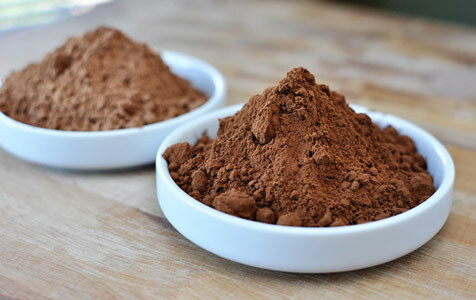 There are 2 main types of cocoa powder; Natural and Dutched (or alkalized.) Nautral is very similar to cacao powder and Dutched is processed with alkali. The processing is done to give the chocolate a darker color and to remove some of the bitterness but this also decreases the antioxidants in the cocoa. Chocolate is made from the same cacao bean. After being fermented, dried and roasted, the beans are ground into a paste. Instead of removing the cocoa butter to produce cocoa powder, the butter is left in and the paste is melted to produce chocolate liquor. When chocolate liquor is cooled it becomes what we know as unsweetened baking chocolate. Sugar can be added to make bittersweet, semi-sweet and sweet chocolate. If you want to get the benefits of cacao from chocolate, I would recommend dark chocolate since it has the most cocoa powder. I would also recommend getting the highest percentage that you can enjoy. I like 100% but since there is no sugar, it may be too bitter for some people. White chocolate contains just cocoa butter and no cocoa powder at all so there are none of the benefits of the powder. So now that you know how the distinguish between the different sources of cacao/ cocoa, let’s get into some of ways it can improve your health. Cacao contains over 300 compounds including protein, carbohydrates and fat. It is also a good source of fiber, magnesium, iron, manganese and copper. While these are all good things, what really separates cacao and it’s related products from all other “superfoods” is all the other things that cacao has. Oxidation is a chemical reaction that produces damaging free radicals. These can lead to things like inflammation, cancer and heart disease. Antioxidants can prevent or delay the oxidation of cells and one of the best sources of antioxidants is cacao. ORAC (Oxygen Radical Absorbance Capacity) is a method to measure antioxidant capacity. This method does have some controversy because it is performed in test tubes and not in humans. Even so, cacao scored significantly higher than any other food. Per 100 grams cacao powder scored a 95,500 µmol and cacao nibs scored 62,100 µmol. For some comparison, the highest non-cacao-based foods were gogi berries, acai berries and prunes with scores of 25,300, 18,500 and 5,770 respectively. Many of the antioxidants in cacao are flavonoids, like epicatechin, that can also reduce oxidation. Flavonoids are also involved with collagen production. Collagen is mainly found in our connective tissue and skin. For cholesterol to become dangerous, it must first oxidize. When that happens it can potentially damage other cells and block our arteries. The polyphenols in cacao can help to suppress the oxidation of LDL cholesterol. They can also help to increase HDL and lower LDL. Another study showed a similar increase in HDL and decrease in LDL. Not all studies had the same results with HDL. This study showed a decrease in LDL cholesterol but no changes in HDL cholesterol. A long term study showed that cocoa intake decreased the chance of dying of heat disease. 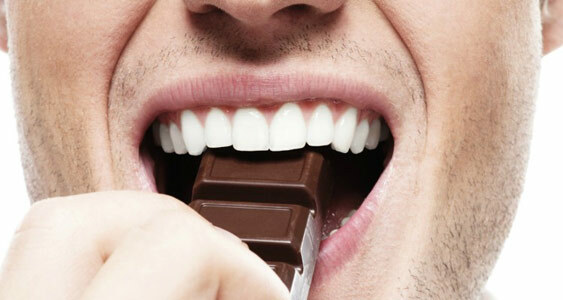 Another study suggested an inverse relationship with eating chocolate and heart disease. High blood pressure is another risk factor for heart disease and so is insulin resistance. 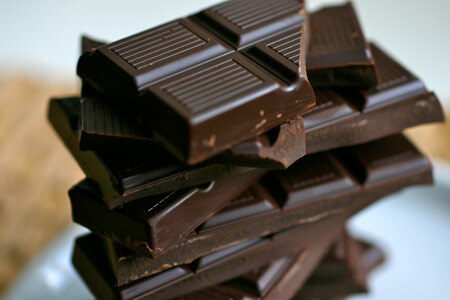 Dark chocolate has been shown to decrease both blood pressure and insulin resistance. Another study also showed similar results. Cacao products are also good at improving blood flow and reducing blood pressure. One reason for this is because it helps to increase Nitric Oxide production which helps to relax the arteries. Nitric Oxide is also a popular bodybuilding supplement because it may help increase muscle mass. The reduction in disease is also demonstrated by a Harvard University study of the Kuna Indians from the San Blas islands of Panama. The Kuna drink a cacao beverage every day and had a substantially lower rates of heart disease, diabetes and cancer than other regions of Panama. In a previous article about reducing the stress hormone cortisol I mentioned the benefits of dark chocolate. Some of this is due to the anti-inflammatory properties of epicatechin. Chocolate also helped to reduce perceived stress in this study. Epicatechin’s role in reducing oxidative stress can also help increase muscle with Type 2 diabetes and heart failure patients. Since there is less degradation of the beneficial chemicals in raw cacao, you should experience an even bigger impact with cacao than dark chocolate. The polyphenols in cacao have been shown to have a positive effect on mood without an effect on brain function but a separate study did show an increase in mood and cognitive ability. Cacao contains the substance Phenethylamine (aka: Phenylethylamine or PEA.) PEA is a nootropic related to amphetamines and is used to improve mood, athletic performance, weight loss and depression. Although the levels of PEA in cacao is fairly high, it is debated how much of with actually reaches the brain because it is metabolized so quickly. Stimulants are chemicals known to increase alertness and focus. Cacao contains 2 stimulants of the xanthine class, Caffeine and Theobromine. Although chemically similar, both have different effects but act synergistically to improve cognition, mood and blood pressure. Caffeine and Theobromine both have mild anti-bacterial properties. Raw cacao beans contain between 0.1% and 0.7% caffeine and about 1% theobromine. These amounts are not a lot but can be an issue if you are sensitive to stimulants. It is these chemicals that can make chocolate and other cacao products dangerous to pets because they can’t process these ingredients like humans. All cacao and cocoa products will have give you some of these benefits. The extent of the benefits is determined by how many nutrients and antioxidants are left after it is processed. So here is my list from most beneficial to least beneficial. If you want to get the purest, least processed version, Cacao Nibs are the way to go. Cacao Powder is next in line in terms of minimal processing. I would place Dark Chocolate next. Dark chocolate has percentages on the label. The higher the percentage, the more cacao and less sugar it contains. So obviously 100% would have the most cacao and no sugar. There are also popular 90% , 86% and 72% options. I would not go below 70% because the sugar content will be getting higher and the dangers of sugar will start to offset some of the benefits of cacao. And that is it. Hopefully you can find one of those options tasty enough so you can experience some of the benefits like a decreased risk of heart disease and better brain function. The nibs or powders will go well in a shake and the chocolate can be eaten by itself. If you have any questions or comment let me know in the comment section below or you can reach out to me on Facebook or subscribe to my YouTube channel. 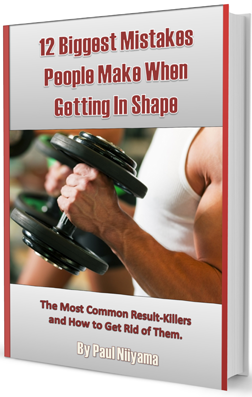 And if you haven’t already, get my free ebook about mistakes people make when trying to get healthy.